University of Groningen physicists have induced magnetism in platinum with an electric field created by a paramagnetic ionic liquid. As only the surface of the platinum is affected, this creates a switchable 2D ferromagnet. The study was published in Science Advances on 6 April. Platinum is used a lot in jewellery and electronics. Although this precious metal looks great and is an excellent conductor, it has no magnetic properties. Until now, that is: University of Groningen scientists have induced ferromagnetic states on the surface of a thin film of platinum. 'You can tune magnets electrically by changing the number of carriers inside, which is one of the key ideas in spintronics. 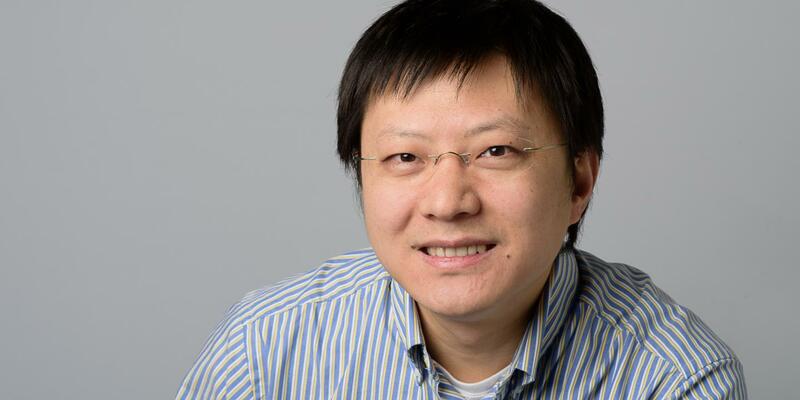 But so far, no one could generate magnets like that', says Associate Professor Justin Ye, chair of the Device Physics of Complex Materials group at the University of Groningen. Lei Liang, a postdoc in Ye's research group and first author of the paper, built a device in which he could induce ferromagnetism in non-magnetic platinum, using a field effect generated by gating through an ionic medium called ionic liquid. Ye: 'The key here is that we used a paramagnetic ionic liquid, a new type of ionic liquid which we synthesized ourselves.' If an electric field is applied, the ions move to the surface of the platinum, carrying both charge and magnetic moment. Both affect the surface layer of the platinum film, creating an atomically thin layer of magnetic platinum. 'We were able to show that this is really a 2D magnet, and the magnetic state can extend to the room temperature', says Ye. 'It is amazing that we could still add new properties to such a well-known material.' Recently, many 2D magnets have been isolated from layered compounds, but most are insulators and they are only magnetic at very low temperature. Making them in a conductor could be useful in spintronics, a promising new type of electronics, which is based on the magnetic moment (or spin) of electrons. The new discovery means that magnetism can be switched on and off in a conductor, which could lead to the development of devices that can simultaneously control charge and spin. The research was initiated by Justin Ye's Device Physics of Complex Materials group, which is part of the Zernike Institute for Advanced materials at the University of Groningen's Faculty of Science and Engineering. Reference: L. Liang; Q. Chen; J. Lu; W. Talsma; J. Shan; G.R. Blake; T.T.M. Palstra; J. Ye: Inducing ferromagnetism and Kondo effect in platinum by paramagnetic ionic gating. Science Advances 6 April 2018.